Camping is the best outing experience you can have with your family and friends. Nothing can beat the fun that you will have hiking with a group of your friends and then staying back among the wild in the camping tents around the campfire. However, apart from the fun quotient, camping also calls in for a lot of preparation, precautions and safety measures to be taken. Outing activities give you an opportunity to be with the nature, enjoy the calm and soothing environment and perform some thrilling activities, but it can also turn out otherwise, if not planned for properly. You are out away from civilization, all by yourself and therefore it is advisable to carry along all the requirements. One of the crucial must-haves when camping is the first aid kit. 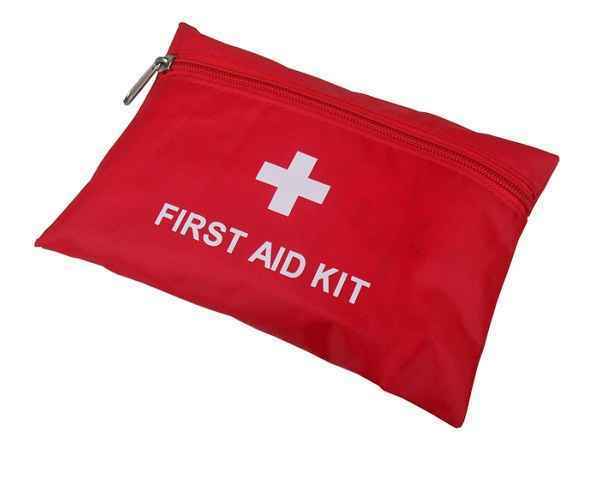 Although first aid kits are useful irrespective of where you go, they are quite important when you go out camping, because while going to the adventurous places, the chances of getting hurt are much higher. The article will provide you with the list of first aid kit for camping that will come handy in all outdoor activities. It is important for you to know how to use the first aid kit. Do not buy a kit that has a bunch of bandages that you don’t know how to use, since using few bandages wrongly can worsen the situation. Do not purchase a compress bandage if you don’t know how and when to use it. If used in a wrong way, this bandage can cost you a limb. Make sure that your first aid kit is well stocked with all the essential supplies. Replace the thing that you use immediately with a fresh supply. Don’t overstock your first aid kit. If you think you need to carry more stuff, buy a bigger kit. This will save you from any confusion when dealing with supplies on the camp site. Make sure that you keep on updating your medical kit from time to time lest you open the kit only to find expiry products. Check your kit before you head out for a trip and restock it with fresh supplies of medicines that have expired. Purchase a travel friendly first aid kit. There are travel size first aid kits that you can carry along if you feel a full size kit will be an add-on to the luggage. Make sure that the kit holds supply for the activity you are heading towards and not with vaccinations that will be of no use for the activity you are going for.